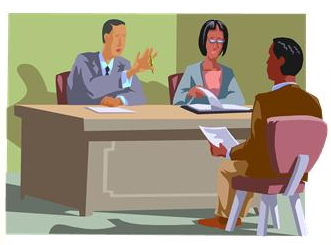 Did you attend an interview recently? Do you think the employer is really interested to know what you are interested in? No, all they want to know is whether you can be any good for their company. Why is it a guaranteed question and have a different answer in every interview? Since each job spec is different and when you tell someone about yourself, indirectly it also applies how you can be effective for the job. It is not a generalization of your life but a very specific resume of what you have done in the past that will help this company in the future. So when you prepare for an interview it is also necessary to prepare an attractive TMAY(Tell Me About Yourself), a unique selling point and an elevator speech– imagine yourself with the CEO of the company in an elevator and you have until the ground floor to sell yourself – what would you say? Maximum of 3 minutes is as long as you should really speak for. It should be a brief summary of your life to date and how the skills you have mastered makes you an effective and unique employee who fit in with the company. Outside interests are equally as important as work experience. Sports display team work, captaining a team shows leadership skills, being a member of a drama group displays confidence and an ability to communicate, voluntary work shows empathy and the ability to do something for nothing, helping children shows patience and flexibility – all examples show why the interviewer is not just interested in your last work placement but also your life skills. The most recent education can be touched on. Keep in mind – do not sound too polished and rehearsed, try and sound spontaneous as though you never imagined they would ask such a question! Practice it out loud, practice it in front of your friends and family who will tell you how fantastic you are and why wouldn’t they want you and then practice it in front of someone a little more critical! Focus on your extra curricular activities, which can help you bag this job right away. Prepare and practice many times. Refer to both work and social experiences. Try to match your skills with what the interviewer will be looking for. Prepare a TMAY to suit the company and specific position. Start with your earliest childhood memory. Say ‘as you can see from my CV’.